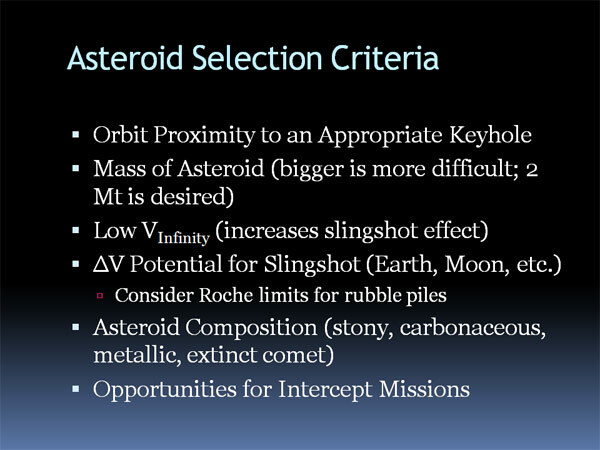 NOTE: The orbital slingshot model used for the Apophis capture example below had a significant flaw. 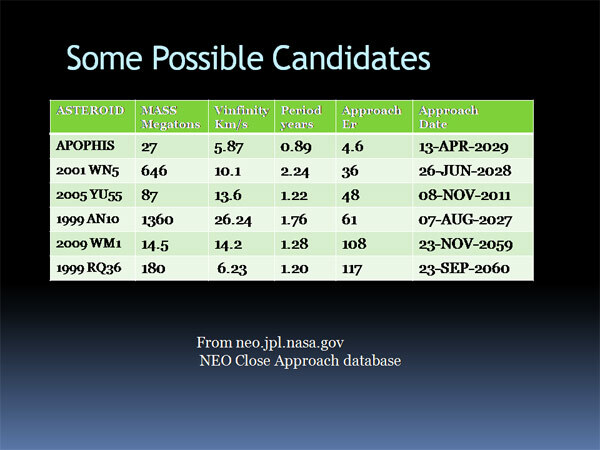 Re-analysis using better tools and more recent data indicates that 95 cm/s of delta-V is needed instead of 10 cm/s, and that in 2030 Apophis approaches the Moon with too great a velocity for orbital capture in a single pass. 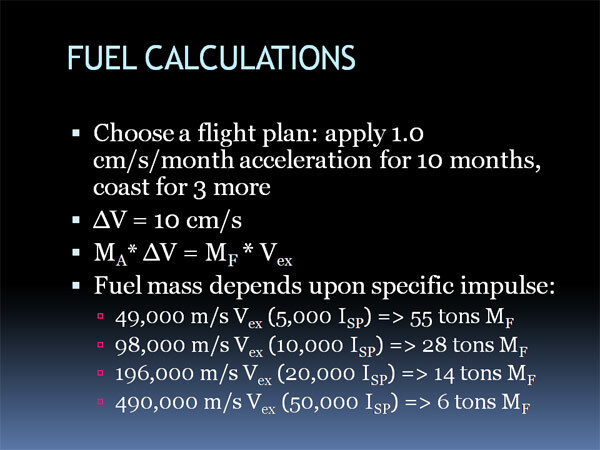 Alternative mission profiles are being explored that should work with an applied delta-V of around 1 m/s, although the mission duration and cost will increase. Updates will be posted here as available. 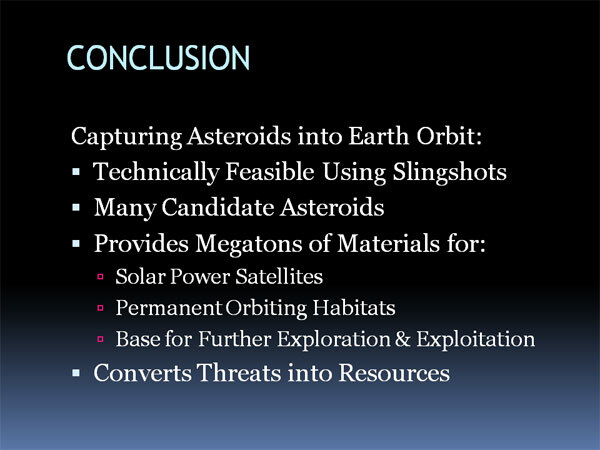 See also Retrieval of Asteroidal Materials in Space Resources and Space Settlements, NASA SP-438, 1977. 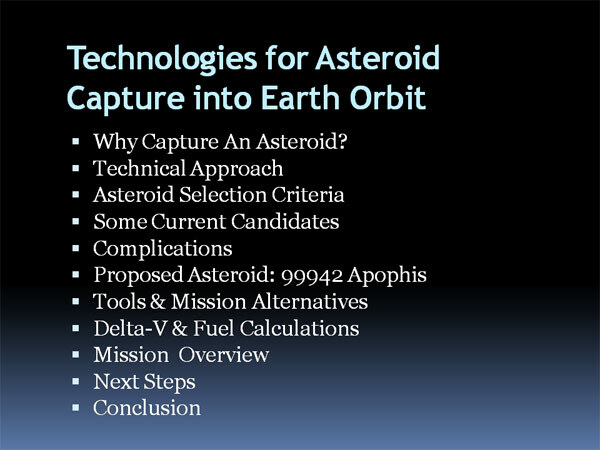 1999 RQ36 is 7 times the size of Apophis and passes 1.2 Lunar distances from the Earth in 2060. It, too, won’t be easy to capture, but is also worth the effort. 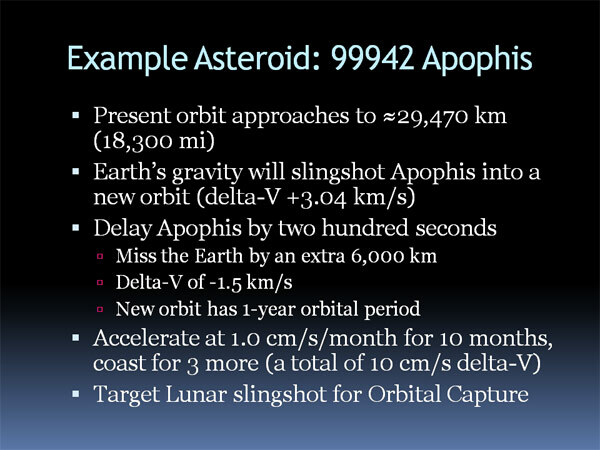 My main point is that delaying Apophis’ arrival at the Earth’s orbit by changing its velocity by only 10 cm/s results in a 1.5 km/s reduction in delta-V – a velocity gain of a factor of 15,000. 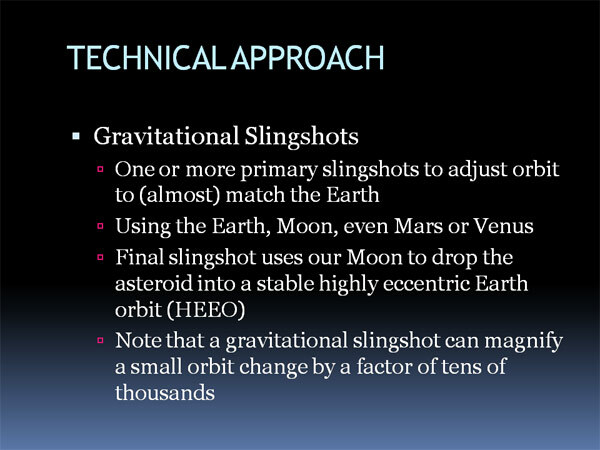 I chose that particular slingshot because it results in a semi-major axis of exactly 1 au, with a period of 1 year. I used a program named GravitySimulator by Tony Dunn to model several Apophis orbit variations, and simultaneously to gain a true appreciation of the art and genius needed to find useful orbits. 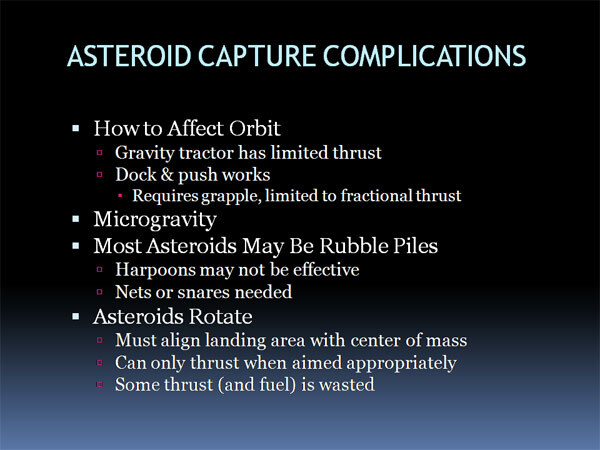 Of course, we need to push or pull the asteroid, which isn’t simple, partly because they are rotating, undoubtedly along an inconvenient axis. And they have enormous angular momentum which we can’t simply cancel. 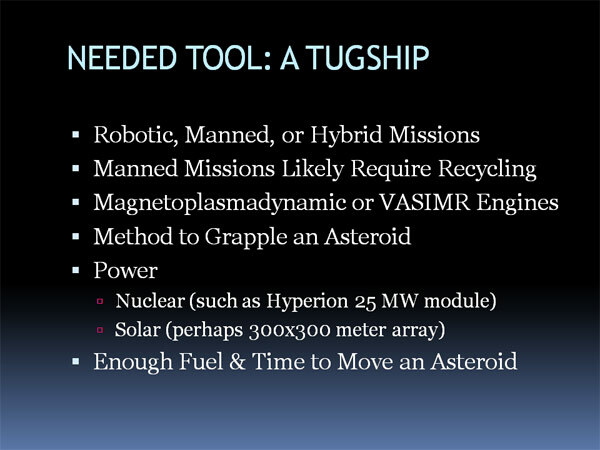 This means we’ll either have to dock — not land — at an appropriate location and thrust a fraction of the time, or use a gravity or magnetic tractor approach which might limit us to lower thrusts and longer missions. 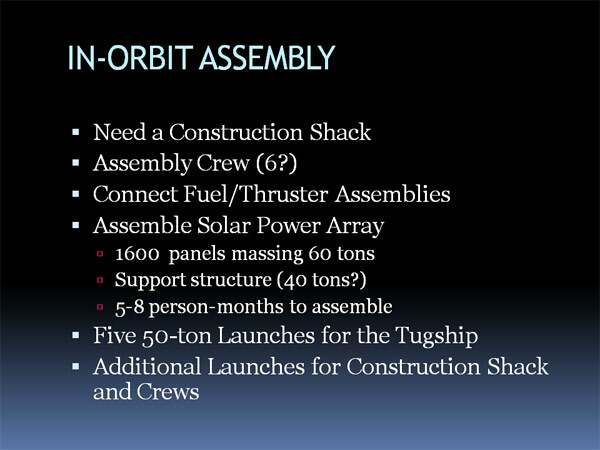 The construction shack is a sixth launch, and the assembly crews, mission crew, and supplies are likely two more man-rated launches. 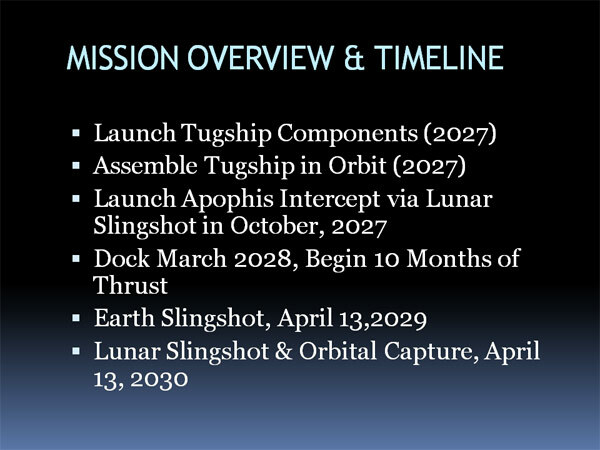 Note I’m assuming the assembly crew is launched early, and the mission crew at the last minute, because the deep-space mission already requires a very long time. The number of people in each is an estimate, of course. 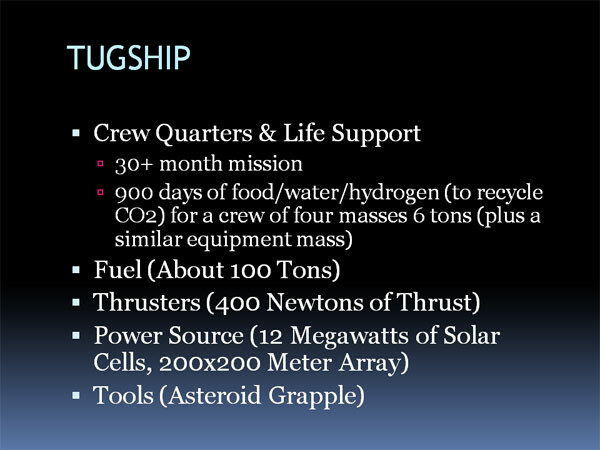 While 6 workers may suffice to assemble the tugship during a two month project, double the people would simplify training, ease workloads, and provide significant redundancy. 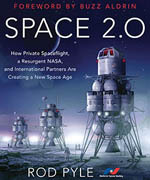 Likewise with the deep-space mission crew. Two people may be able to handle the workload, but that is cutting it close. 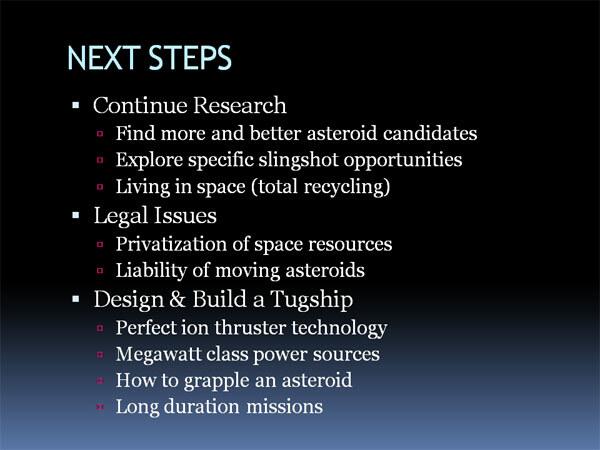 I’d suggest four at a minimum, and six is better. 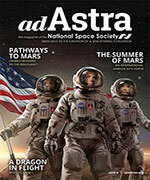 The nation needs a grand goal in the next decades, one comparable to Kennedy’s “We choose to go to the moon in this decade.” I believe that capturing Apophis into Earth orbit is such a grand goal, with benefits to global energy and warming (via those solar power satellites), and to space exploration, and to permanent, self-sustaining habitats in space. 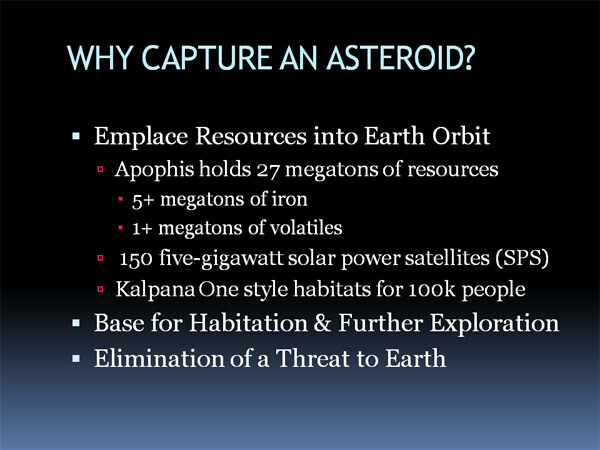 And it removes a threat to the Earth.